FastPasses are essential to creating a seamless and magical vacation at Walt Disney World. The FastPass+ system is Disney World’s “cutting the line” system. 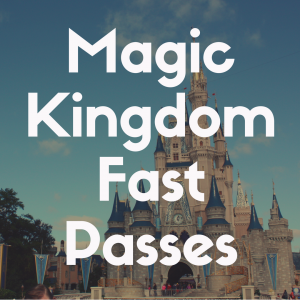 Every single person who vacations at Walt Disney World is allowed three FastPasses per day. You can book these either 30 or 60 days in advance depending on whether or not you are staying at a Disney resort. After you use your first three, you can continue to book them one at a time for the rest of your day! In order to prevent specific people from snagging all of the best FastPasses, Disney World divides the different attractions into different tiers. You can only book one first tier FastPass+ per day, the rest will be second or even third tier depending on the park! Epcot has the least number of thrill rides out of all the parks. The park’s main attractions are Test Track, Frozen Ever After, and Soarin. They also have a few slower Disney World rides for toddlers and shows like Turtle Talk with Crush or The Seas with Nemo and Friends. Mission: SPACE and Spaceship Earth are also pretty popular. You can also use your FastPass selections for performances, character meet and greets, and a few other attractions. 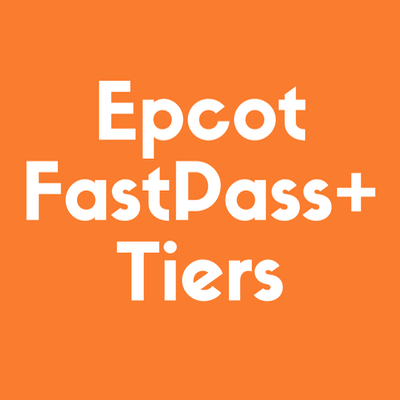 So, today I’d like to walk through Epcot’s FastPass+ tier system and review what rides you’ll be able to book ahead of time and how to set yourself up for a great day in the Epcot! Frozen Ever After – Head to the Norway Pavilion at Epcot’s World Showcase where you will board a tiny boat and take a ride. You’ll meet Ann, Kristof, Sven, and Olaf along the way before meeting Elsa at her ice castle! This ride has beautiful animatronics, songs, and more! You’ll experience a small dip in the end that may spray a tiny, tiny bit of water on you, but don’t worry because the Florida heat will dry it right out! Soarin’ Around the World – In Epcot’s Future World, you can board a parasail to fly around the world. This awesome experience is vivid and stunning. You’ll feel the change in temperature as you fly through new cities and even smell new smells! Test Track – Join Chevrolet and build your dream car! After you’ve built your car, you’ll board it to test it’s features. You will check its acceleration, brakes, how it handles different weather, and how it affects the environment. You’ll compete with the car you’ve made to see who wins each category! Meet Disney Pals at the Epcot Character Spot – Again in Future World, you can meet Mickey Mouse, Minnie Mouse, and Goofy at the Epcot Character Spot in a nice, air conditioned room. I highly recommend choosing either Test Track, Frozen Ever After, or Soarin’ Around the World for your first tier FastPass selection. These rides’ FastPasses fill up quickly so it will be difficult to get a FastPass for these the day you are here after you have used your first three. If you’d like to meet Mickey, Minnie, and friends at the Epcot Character Spot, I recommend downloading the MyDisneyExperience App and checking the wait time regularly. Another great way to meet a load of these characters is through a character dining experience! 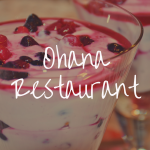 This will allow you to enjoy a delicious meal while also meeting some of your favorite characters, two birds with one stone! The rest of Epcot’s attractions reside in the second tier. You can book either two of these after you’ve reserved a first tier FastPass, or you can book three of these in advance. Keep in mind, after you’ve used your three FastPasses for the day, you can continue to book more but only one at a time. Mission: SPACE – Hop in a space shuttle to explore outer space! There are two levels of this ride, so be sure to read about the different levels before making your decision. Spaceship Earth – Learn about our world in this slow-moving, informational ride inside that big silver ball that represents Epcot! Turtle Talk with Crush – Join around a large screen and meet Crush, one of Nemo’s closest friends! You can ask a question and Crush might answer it if he gets around to you so get your questions ready! Remember this show is improvised so its brand new and totally fun every single time! Disney & Pixar Short Film Festival – This 4D short film festival walks you through some old-time short films. The films shown here do change every now and then so you might find something new arrives in between your visits to Disney World! Journey into Imagination with Figment – Hop on a ride through the five sensory labs where you’ll learn all about imagination! However, you might see Figment popping in to cause some mischief. Living with the Land – On this educational attraction, you will board a boat to cruise through greenhouses, farms, and learn all about the history of farming. The Seas with Nemo and Friends – Hop into a clam to dive under the sea and look for Nemo! Keep your eyes peeled as you watch for him and then enjoy tons of other games, educational displays, and more after the ride! 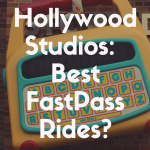 Disney World is an incredibly popular vacation spot, so a lot of their FastPass options book up very quickly, especially the first-tier attractions! To avoid your favorite attractions filling up, you want to strategize when booking your FastPass+ reservations. So here are a few tips to get you started. When staying at a Disney World resort, you are allowed to book your FastPasses 60 days before the first day of your vacation. So, when that day starts, FastPasses open up for reservations at 7am EST. When that time comes around, I highly recommend making FastPass+ reservations at the park that has rides that excite you the most. 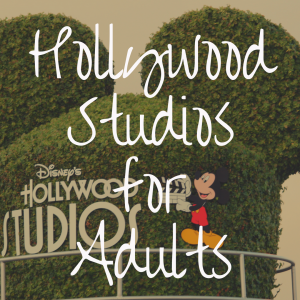 For me, I am always most excited about Hollywood Studios’ attractions. Between the new Star Wars and Toy Story rides, Tower of Terror, and Rockin’ Roller Coaster, there are tons I want to ride! So, when I log onto the Disney website at 7am 60 days in advance of my reservation, I always book my Hollywood Studios FastPasses first, then the rest of my vacation! If you choose not to stay at a Walt Disney World resort, then you can book your FastPass+ reservations at 7am, 30 days before your vacation begins. Use the same rule of booking your most anticipated rides first, and then booking the others afterwards. You can also use another technique which is going through and booking all of your first tier FastPass options first and then going back through again and booking your second or third tier reservations. Whatever you decide to do, I recommend working out some sort of strategy for your vacation to ensure you are able to book the rides and attractions that mean the most to you! This way, you can make double sure you snag those hard to get FastPasses for your whole family! You also want to book your FastPasses for as early in the day as possible. I try to book them exactly an hour apart starting right after I plan to arrive at the park that day. This will help you book as many FastPasses as possible later in the day. If you use up your FastPasses at 12pm that day, then you’ll have a lot more time to book more FastPasses later in the day versus if you book your advance FastPasses until 6pm! When it comes time to use your Fastpasses, you’ll have about an hour-long window to redeem them. You can usually redeem them a few minutes early and a few minutes late! If you are wearing a MagicBand, then you will simply touch the Mickey head on your MagicBand to the Mickey head on the FastPass redemption stand in order to use your FastPass+. You can then proceed onto the ride! If the redemption stand flashes blue then that means you are too early to redeem your FastPass, you are too late to redeem your FastPass, or you do not have a FastPass for that ride! If you do not have a MagicBand, then you will use your park tickets to redeem your FastPasses. Then, after you’ve used up your first three FastPasses, you can use the MyDisneyExperience app to book another FastPass+ reservation. If you don’t have the MyDisneyExperience app, then you can head to a FastPass kiosk. On these, you’ll be able to book a new FastPass to redeem! This is why it’s so important to book them early on in the day so you can redeem them sooner and add more to your schedule sooner! You most likely aren’t just headed to one park during your Walt Disney World vacation. 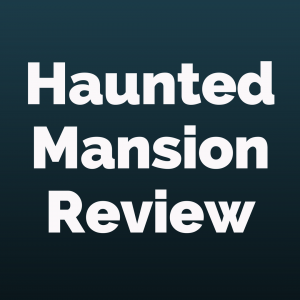 So, I decided to write down the first-tier attractions for every park so you can get a more well-rounded idea of what to expect and which rides will be harder for you to book a FastPass+ reservation for! Alien Swirling Saucers – Hop in a saucer with the famous Toy Story aliens and swirl around outer space! Slinky Dog Dash – Hop on Slinky Dog Dash’s back for a wild ride through Toy Story Land. Keep an eye for the new Star Wars Galaxy’s Edge park expansion when you’re at the top of the ride! Toy Story Midway Mania – Walk into Andy’s room and join Woody, Buzz, Ham, Bo Peep, Jessie, and the rest of the gang as they take you through a 3D ride where you’ll test your skills at shooting some targets! Magic Kingdom does not currently have a tiering policy in place. Typically, tiering systems are set into place when new rides at Disney World open that tons of people want to book a FastPass for! Avatar Flight of Passage– Hop on the back of a wild banshee to fly through the land of Pandora! Na’vi River Journey– Float down a river of Pandora observing all of their beautiful greenery and wildlife! 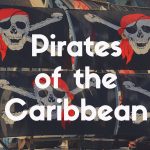 Overall, there are tons of amazing attractions to enjoy all over Walt Disney World, and you definitely want to take advantage of the FastPass system Disney has in place. Remember, if you are staying at a Disney World resort, you can book your FastPasses 60 days before the first day of your vacation. If you choose to stay off of Disney property, you can book your FastPasses 30 days in advance of your vacation. These days, you can begin booking FastPasses at 7am EST. Be sure to go ahead and download the MyDisneyExperience on your phone. This will make booking new FastPasses super easy when you’re enjoying the parks and have used up all of your advanced reservations. Also remember that you can only book one first tier FastPass in advance. Then you can finish your selections with tier two FastPasses. You can also book three second tier FastPasses if you simply prefer those rides. Other than that, you should be good to go and be on the fast track to an incredibly stress-free and fun vacation at the happiest day on Earth! Remember to plan your trip thoroughly in advance so you can be prepared to make dining reservations and FastPass selections on the day they open! Enjoy your magical stay!